“Allerleirauh, Thousandfurs” by MANDEM appears on the cover of NONBINARY REVIEW #1. 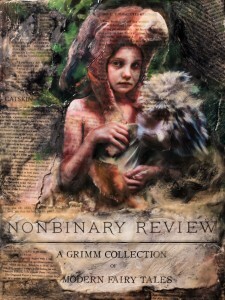 NONBINARY REVIEW #1, “A Grimm Collection of Modern Fairy Tales,” features brand new cover art by MANDEM. 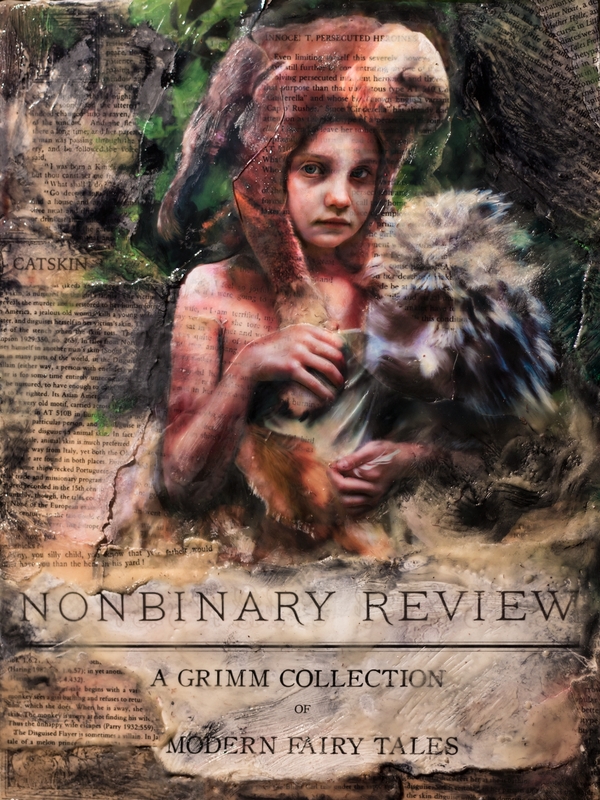 NonBinary Review #1 is available through Zoetic Press as a free download from the iTunes store, featuring 35 re-interpretations of classic fairy tales. Zoetic Press is the first publisher to produce works using Lithomobilus, an exciting new e-reader platform that can deliver an expanded narrative experience, from author notes and side narratives to fully nonlinear works, collaborative works, and critique and commentary in-context, without the reader ever having to leave their book. The Spring 2014 issue of PSYCHOPOMP MAGAZINE, available from http://psychopompmag.com. THE BLUE HOUR (Volume 3), a literature anthology available from http://thebluehourmagazine.com. TASTE:2013, a literature anthology from ELJ Publications, available from http://eljpublications.com. POSTSCRIPTS TO DARKNESS vol. 5, an anthology of dark fiction available from http://pstdarkness.com.